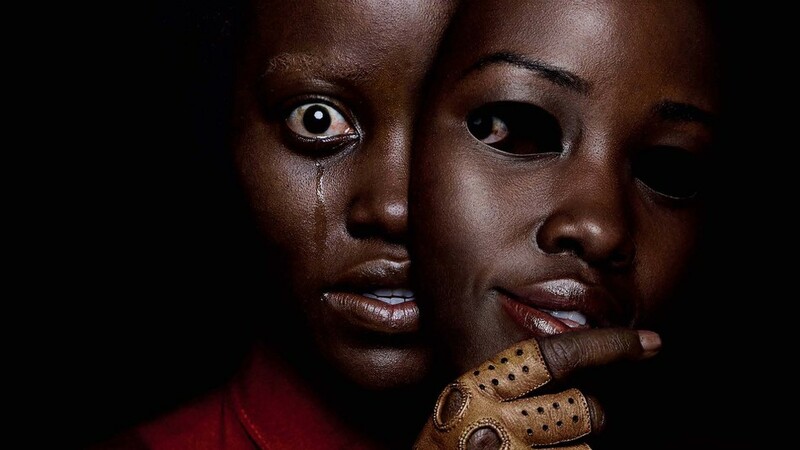 While not as captivating as its predecessor, Jordan Peele’s new film abandons the traditional “horror movie” narrative and rewards its audience with a polysemic story worth not just one, but two or three viewings. If you have not yet seen it, go now. If you have, go again. Jordan Peele’s critically acclaimed Get Out was all the inspiration I needed to buy a ticket to the recent premier of Us. Although I hate horror movies, Peele’s debut film in 2017 introduced me to an entirely new breed of filmmaking within the horror genre. My subsequent anticipation for the release of Us was rightfully justified. Us is more of a suspense-thriller than a horror movie. It revolves around the life of a woman named Adelaide (Lupita Nyong’o) who meets her secret doppelganger as a child. After an introductory scene reveals the creepy interaction between the young Adelaide and her seemingly evil counterpart, the scene shifts to present time, where an adult Adelaide takes a family vacation in Santa Cruz alongside Gabe (Winston Duke)—her dorky husband—and their two kids. While on vacation, Adelaide’s childhood encounter seems to haunt her, with a series of deja vu moments leading her family of four to a face-off against each of their terrifying doppelgangers. Cue the brutally realistic murder scenes, perfectly-timed comedic relief moments, and graceful fight scenes, and the audience is led to the end of the film, which delivers a satisfyingly surprising twist to the story. Get Out utilized a delightful mix of satirical and suspenseful content to comment on a systematic, social issue that continues to prevail in modern society: racism. For Us, Peele takes advantage of the same formula to spark dialogue on a deeper, psychological/sociological issue: the human condition. Peele’s film ultimately highlights mankind’s prideful attempt to reach godly status through the replication of God’s creation via unnatural methods (cloning). Like his first movie, Peele littered a string of thematic scenes as tribute to his favorite cinematic works. For Get Out, it was primarily Rosemary Baby. This time around, some of the cinematographic genius from Stanley Kubrick’s The Shining was imitated, particularly with an overhead shot of the family driving through the forest and a camera-charging scene with Adelaide. Allusions to the Bible were also appropriately plentiful for the topic, with Jeremiah 11:11—a bible verse warning of God’s merciless punishment—being the most prevalent. Through the unnerving depiction of a “tethered” lifeline between people and their clones, Us encourages an open-ended discussion with a variety of viable interpretations regarding its intended purpose/meaning. With the uncanny ability to inject shots of hilarity while developing a suspense-filled backstory, Peele’s movie redefines the role of horror films. Instead of subscribing to the genre’s traditional practice of delivering films with simply terrifying scenes (at best), Us opens up a new avenue for future writers, producers, and directors of horror movies. Jordan Peele’s Us may not receive the same roar of applause that its predecessor did. Nevertheless, it deserves an even bigger applause for its continuation of Get Out’s trailblazing efforts within the horror genre. Us provides the roadmap for future horror films that want to tease their audience with the scary scenes and twists of the traditional mold, while still encompassing an alternate cinematic goal… one that strives to inspire meaningful conversations.